Antifungal, antiseptic and clearing. Eucalyptus Globulus Essential Oil is extremely versatile, with powerful antibacterial, antifungal and anti-infectious properties making it indispensable for all types of infection control such as preventing coughs and colds spreading. Inhaled from a tissue of diffuser, its decongestant action loosens phlegm and unblocks sinuses whilst its astringent properties reduce mucous membrane irritation in the upper respiratory tract. Eucalyptus Globulus Essential Oil is highly effective in massage blends for muscular fatigue, stiff joints, general aches and pains, and as a pre or post sports rub. 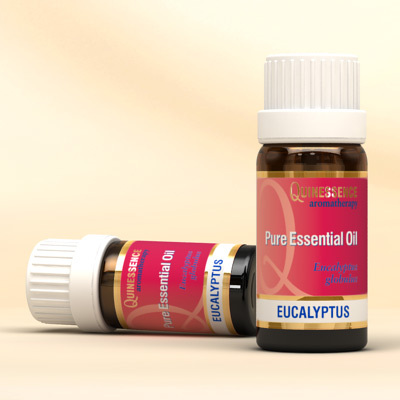 This particular species of Eucalyptus is generally considered to be non-irritant and non-sensitising, however never use Eucalyptus Globulus Essential Oil on children under the age of 2 years. If a baby inhales the vapour of the undiluted oil it may cause spasm of the epiglottis as a reaction to the sudden cooling effect on the respiratory system.